The North Coast had a significantly improved Dungeness crab season this year, hauling in 14.3 million of the 19.4 million pounds of Dungeness crab landed in California so far this season, according to preliminary state data provided to the Times-Standard on Tuesday. While there were a few obstacles, Trinidad crab fisherman Mike McBrayer said Tuesday that he had a much improved season thanks to a great crew and good weather that permitted him to get out on the water more days. “And there were crabs, and that’s always a good thing,” McBrayer said. Preliminary catch data provided by the state shows Trinidad hauled in more than 804,000 pounds of crab worth $2.5 million and Eureka hauled in 4.5 million pounds worth $13.4 million. California Department of Fish and Wildlife environmental scientist Christy Juhasz said the North Coast region — which also includes Crescent City and Fort Bragg — had an above average year for catch with 14.3 million in landings reported worth about $42 million. Humboldt County ports brought in about $16 million, according to the data. The North Coast’s 10-year average landings is 9.1 million pounds, according to Juhasz.  For comparison, the North Coast saw 11.4 million pounds of crab in the 2016-17 season, 3.9 million pounds in 2015-16, and 3.6 million pounds in 2014-15, according to the state data. This year’s North Coast crab haul is the highest since the 2012-13 season, which had about 16.7 million pounds of crab. McBrayer said this season was the first time in about a decade that he had catch limits imposed on him by his buyer, which he said resulted from a combination of there being so much crab being landed and trucking restrictions and issues. This resulted in him and other boats having to use live boxes, in which McBrayer was able to store up to 375 pounds of crab in a wooden box that was stored in the water until they could be hauled away. “It took longer and if we could have sold them right away, we could have caught a lot more,” McBrayer said. This year’s crab season is set to end July 30, so landing data is still coming in for May through July, Juhasz said. “Although landings are preliminary, generally 80-90 percent are usually landed in the first several months of the season so the magnitude of landings will not change by much after all landing receipts are entered,” Juhasz wrote in an email to the Times-Standard. Juhasz said landings are cyclic based on the fishable crab population, but she said these cycles don’t always line up for the northern and central crab fishing regions of the state that are separated by the Sonoma-Mendocino County border. She said this is demonstrated this season with the central management area reporting landings below last year’s while the North Coast region saw higher than average catch. Despite the better season, McBrayer said he still is working to pay off the “substantial” debts he incurred two seasons ago when the state closed the crab fishery for six months because of a historically large toxic algae bloom across the West Coast. That season, McBrayer’s vessel “Sundown” sat stagnant in the water along with the rest of the local fleet until public health tests showed crab had low enough levels of the algae-produced neurotoxin, domoic acid, that they were safe enough to eat. McBrayer said he began working side jobs hauling ice cream from Fernbridge to Sacramento and working in Alaska just to get by that season. Meanwhile, the bills kept piling up for crabbers, prompting some to leave the industry altogether. It was only in May, six months into the season, that North Coast crabbers were given the OK by the state to begin fishing. McBrayer said he was barely able to remain in his house, but was able to get through. Now California crabbers are awaiting federal fishery disaster relief funds to make up for the losses incurred in the 2015-16 season. About $28.5 million was appropriated to aid California’s crab fleet, with the Pacific States Marine Fisheries Commission determining how it will distribute the funding. Despite the disaster relief funds arriving two years later, McBrayer said they are still badly needed. The poor 2015-16 season caused McBrayer to forgo rebuilding his engine and maintaining his vessel’s transmission, but now he hopes to get around to it. “So that’s something that is still looming and that is not a cheap item,” McBrayer said.